Fucithalmic viscous eye drops contain fusidic acid, which is an antibiotic medicine used to treat infections caused by bacteria. What are Fucithalmic eye drops used for? Bacterial infections of the membrane that covers the whites of the eyes and lining of the eyelids (bacterial conjunctivitis). Fucithalmic viscous eye drops contain the active ingredient fusidic acid, which is a type of medicine called an antibiotic. Fusidic acid works by preventing the bacteria from producing proteins that are essential to them. Without these proteins the bacteria cannot grow, replicate and increase in numbers. Fusidic acid doesn't directly kill the bacteria, but leaves them unable to increase in numbers. The remaining bacteria eventually die or are destroyed by the immune system. This treats the infection. How do I use Fucithalmic eye drops? Fucithalmic eye drops come in a tube rather than a bottle. The tube contains a thick liquid that becomes more liquid once it is in your eye. One drop should be put into the affected eye(s) twice a day (morning and evening). Treatment should be continued for as long as your doctor has prescribed. Don't stop treatment early if your eye feels or looks better - treatment should not be stopped until 48 hours after your eye looks normal. When using these eye drops you should take care to not touch the tip of the tube to any surface, or to your eye, in order to avoid contaminating the eye drops. After using the drops you may see a white powder around your eye. This is normal and nothing to worry about; it can sometimes happen when the drops dry out. It. You can wipe the powder off with cotton wool. If you forget a dose of the drops don't worry, just use them as soon as you remember and then continue with your next dose as usual. What should I know before using Fucithalmic eye drops? You should not wear any type of contact lenses while you are having treatment with these eye drops. Make sure you complete the course prescribed by your doctor, even if it seems that the infection has cleared up. Stopping the course early increases the chance that the infection will come back and that the bacteria will grow resistant to the antibiotic. These eye drops are for use in the eyes only. Do not put them in your ears or nose, or take them by mouth. Fucithalmic eye drops are sterile until opened. The tubes contain a preservative that helps keep the eye drops sterile once they are in use. However, any medicine remaining in the tube after it has been open for four weeks or more is likely to be contaminated with germs and should no longer be used. Don't keep it for use in future eye infections. The drops should be disposed of carefully, preferably by returning to your pharmacy. You may find it helpful to write the date of first opening on the packet. Who should not use Fucithalmic eye drops? Can I use Fucithalmic eye drops while pregnant or breastfeeding? This medicine has not been specifically studied in women who are pregnant or breastfeeding. However, the amount of medicine that passes into the bloodstream after applying eye drops is negligible, and fusidic acid has been widely used by pregnant and breastfeeding women for many years with no apparant harmful effects. If you want further information or advice you should talk to your doctor or pharmacist. 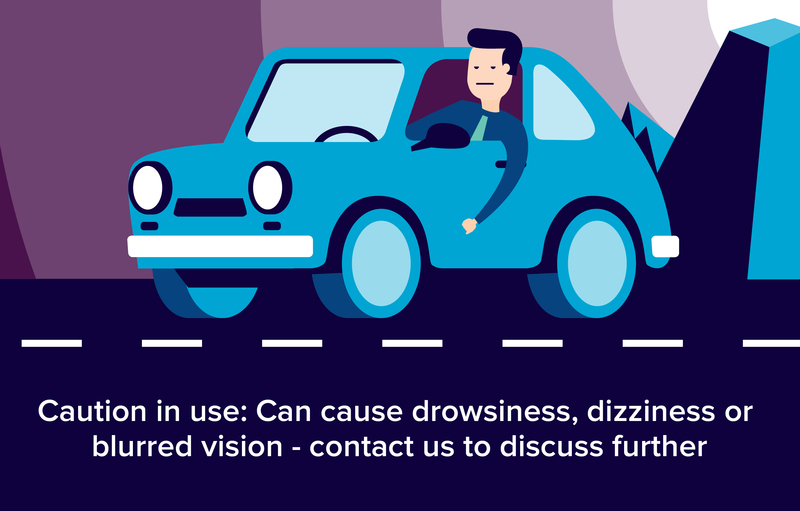 What are the possible side effects of Fucithalmic eye drops? Temporary blurred vision after putting in the drops. Burning or stinging sensation after putting in the drops. Discomfort, irritation, itching, soreness or dryness in the eye being treated. Itching or swelling around the eye. Can I use Fucithalmic eye drops with other medicines? This medicine is not known to affect other medicines. However, if you are using more than one type of eye drop you should administer them at least five minutes apart, to prevent the second drop washing away the first. Use eye gels or ointments last.